Kindle app for iPhone iPad Singapore and Malaysia. Kindle app is a free app for you to read your Kindle books in your iOS devices. Kindle app Singapore doesn't exist because Kindle app for iPod, iPhone or iPad is not available in iTunes Singapore, and same for people who want to download Kindle app in Malaysia. 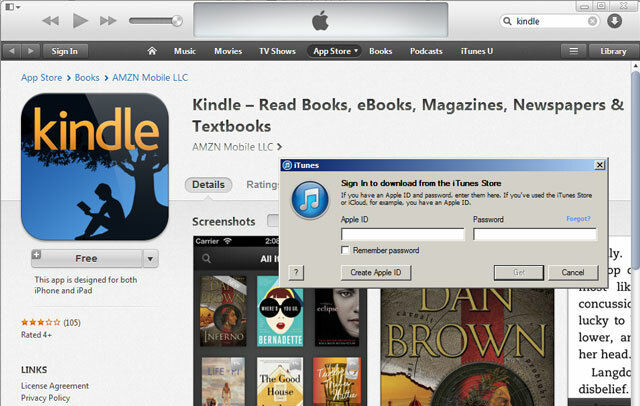 You need to download Kindle app from iTunes US. 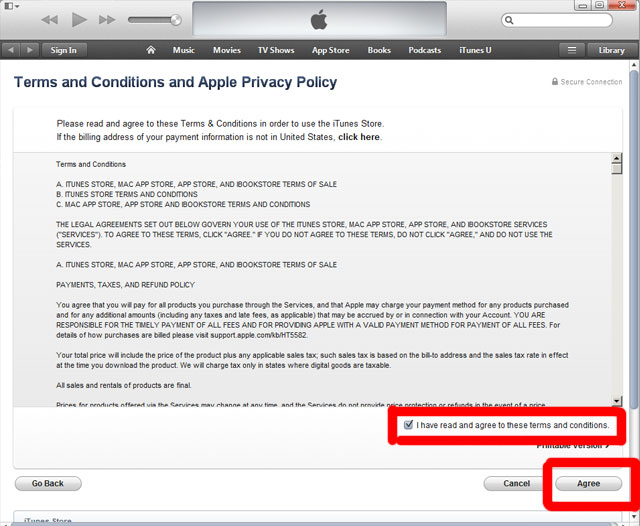 To create an iTunes US account, you need two pieces of information, i.e. an US address and US Payment method. Below is the step-by-step detailed tutorial show you how to do create an US iTunes account and download the Kindle app for your iPod, iPhone or iPad in Singapore or Malaysia. It is very easy, please follow the steps closely, otherwise, it might not work. 1. 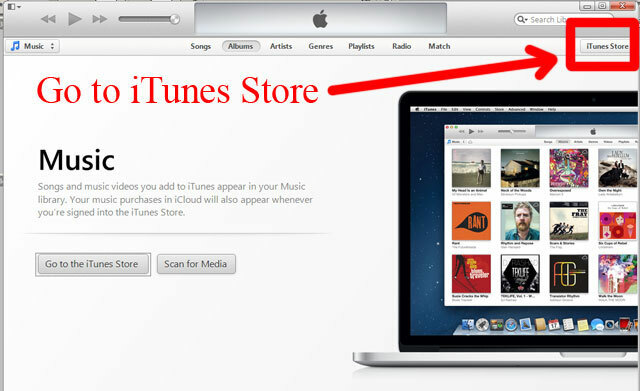 Open iTunes in your computer and go to iTunes Store. 2. Scroll to the bottom and make sure you are in the US iTunes, if it is not US iTunes, just click on the icon and select United States. 3. Scroll to the bottom again and select ANY FREE App for your iPod, iPhone or iPad. 5. A pop-up window request for login. 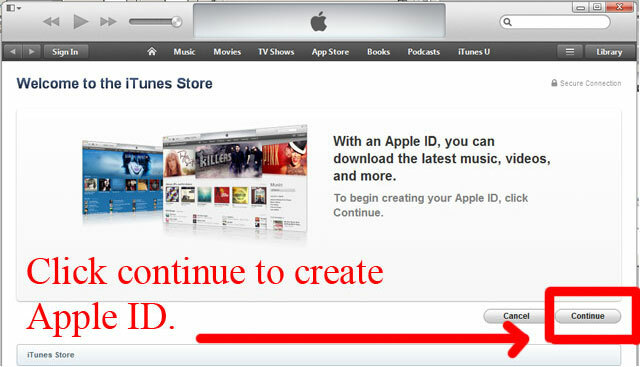 Click on “Create Apple ID”. 6. Click on continue to proceed. 7. Check the “I have read and agree to these terms and conditions”. Click on “Agree”. 8. Enter the requested information. Do take note that passwords must be at least 8 characters, including in number, an uppercase letter, and a lowercase letter. Don't use space, the same character 3 time in a row, your Apple ID, or a password you've used in the last year. Click continue to proceed to the next step. 9. Select “None” for Payment Type. You must enter a valid US address (you can either search for any US address at Google or generate one from here). Click “Create Apple ID” to proceed. 10. A verification email will be sent to your designated email. 11. 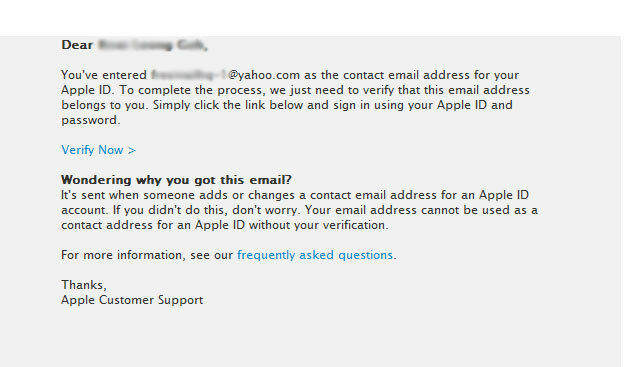 You will received a verification email from Apple, click on “Verify Now”. 12. 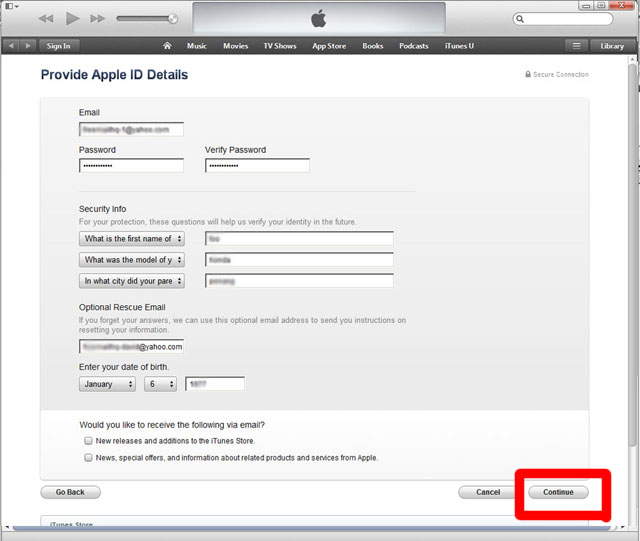 You will be re-directed to the US Apple website, login with the email and password you have set in Step 7. 13. Email address verified and proceed to the next step. 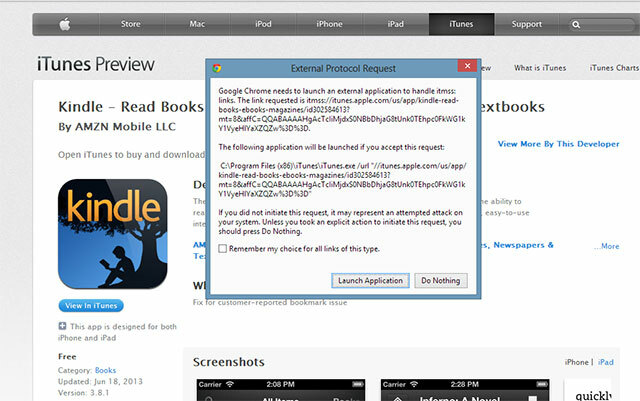 You will be directed to the US Kindle app, your browser may request your permission to open iTunes, allow it to open the Kindle app in your iTunes. If not, click the “View in iTunes”. 15. 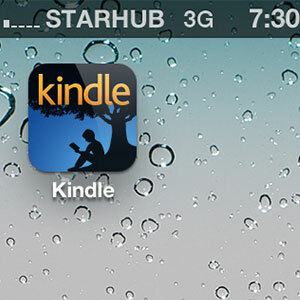 Click the download button to download the Kindle app in Singapore. 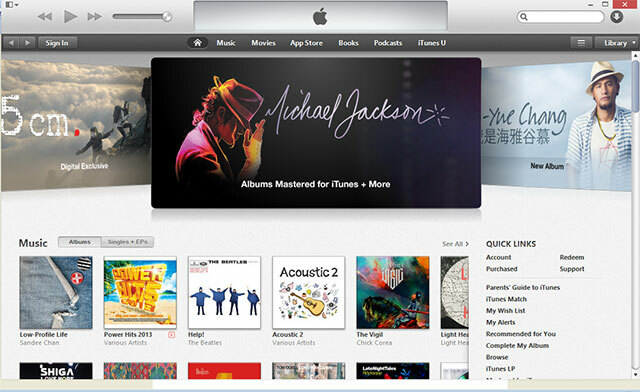 You may be requested to login again with your US iTunes account. 16. Connect your iPod, iPhone or iPad to your iTunes or iCloud and install the Kindle to your device and enjoy read your Kindle books! 17. If you are wonder how to buy Kindle book after you have the Kindle app installed onto your iOS devices, do check out this Kindle book buying guide. 3. Bookmark this page for future reference. Hi, I have another question. Do I need to use the VPN each time I launch the Kindle app to read books, etc. ? Or is it safe to use Malaysian IP address? You only use VPN when you purchase the book. After that, there is no ip restriction for viewing them or syncing to other Kindle device/app. Just to share some info.. I was told by others that Option “None” in payment method has been removed. Hi I would like to check. I have downloaded the Kindle app on my iPad but am currently waiting for my Kindle to arrive. 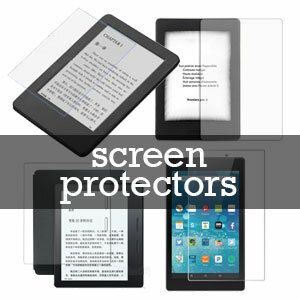 Will I encounter any problems to register my Kindle and sync the books that I have purchased on the Kindle app? I downloaded the Kindle app via VPN. You can buy the Kindle book as long as you are using the ‘safe’ method that we demonstrated here. When your Kindle arrived, you just need to login to your Amazon account which you bought the books, and the books will sync to you Kindle. This was very useful, as otherwise wondering why Amazon did not tie up with Apple Singapore store, atleast this work around helped. I downloaded the app with the instructions you have given and it shows that the app was downloaded but I cannot see it on iTunes nor on my iPhone. BTW, do I need to sign back into my Singapore account after downloading the app? Strange, you should be able to see it. You will need to switch back to Singapore account to update apps that you’re downloaded via Singapore account. Hi. I already have an itunes account. How do I change it to a US account and not lose all my other apps? Can one just download the kindle app and then change back account to Singapore itunes? How will I get my previous kindle purchases over? I am using an ipad mini. How would one then purchase kindle books? Yes, you need to create a separate US itunes account, login with US account to get kindle app, sign in the kindle app with your Amazon account. All your existing apps will stay in your ipad mini, you need to login with your Singapore itunes account to manage/update your existing apps. Please refer here on how to buy US kindle book, all purchased kindle books will be stored on your Amazon account and will be sync to the kindle app on your ipad mini. 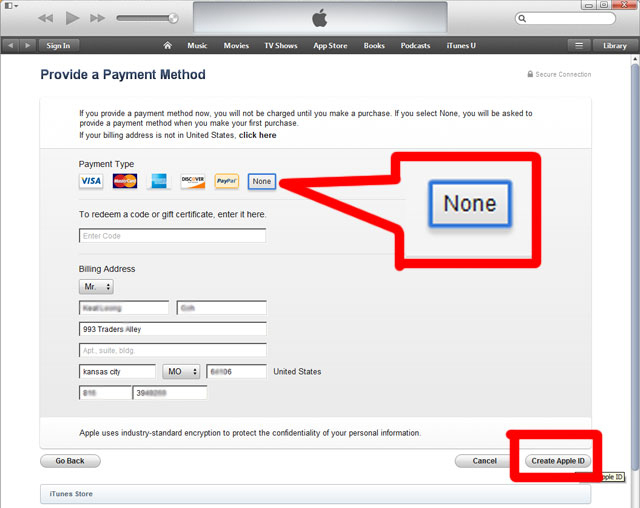 Even though i changed my itunes country settings to the US , it does not show ‘ none’ as a payment option. When i give in my singapore card and US billing address, they say bank records do not match. I am hence unable to even download the kindle app. Hi Sag, it should be working fine. Just follow the exact steps in our tutorials, do no shortcut to create ID directly, you need to select a FREE app first. Why is it that the payment option “None” does not appear when I try to create an Apple ID ? 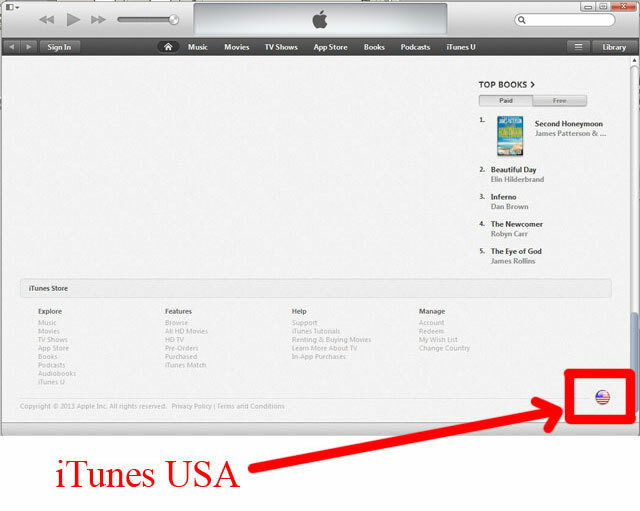 make sure you select the US iTunes. did they just remove the restriction? Some people manage to do that, but the account will be at risk. Managed to transfer all my ebooks from kindle to ipad. Glad to hear that, hope you can support us by sharing our website to your friends and family. 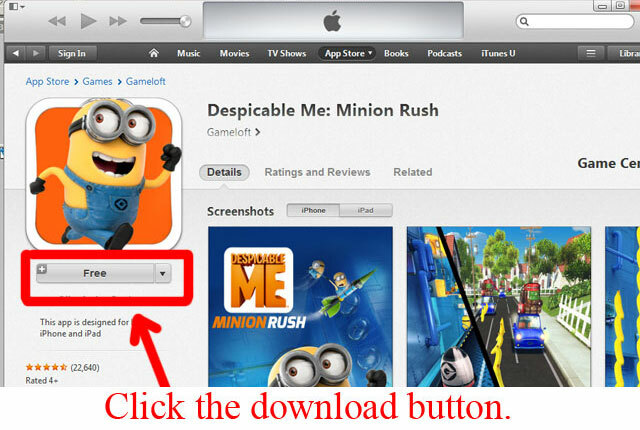 Make sure your iTunes is updated, follow the tutorial closely, there is no problem, we have just tested. Buy or download book from Amazon.com instead. Refer to our free tutorial on how to buy Kindle books. Will I be able to purchase books using this method too? Yes, once purchased, you can sync the book to all your kindle devices or apps. I am concerned if I have a lot of apps bought at the Singapore itunes, will not they be erased when I synchronize my Ipad to the newly setup accountin US? 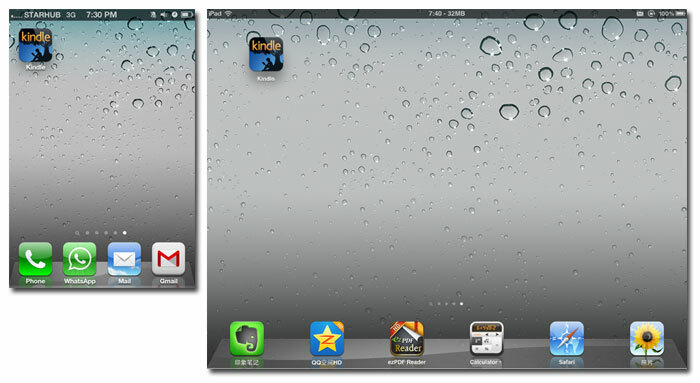 I want to keep all my apps and just to add the Kindle on top of that. If that possible? You’re welcome, Kiwi. Worry not, sync only kindle app with your US itunes account, it will add on to your iPad and all other data remains intact.